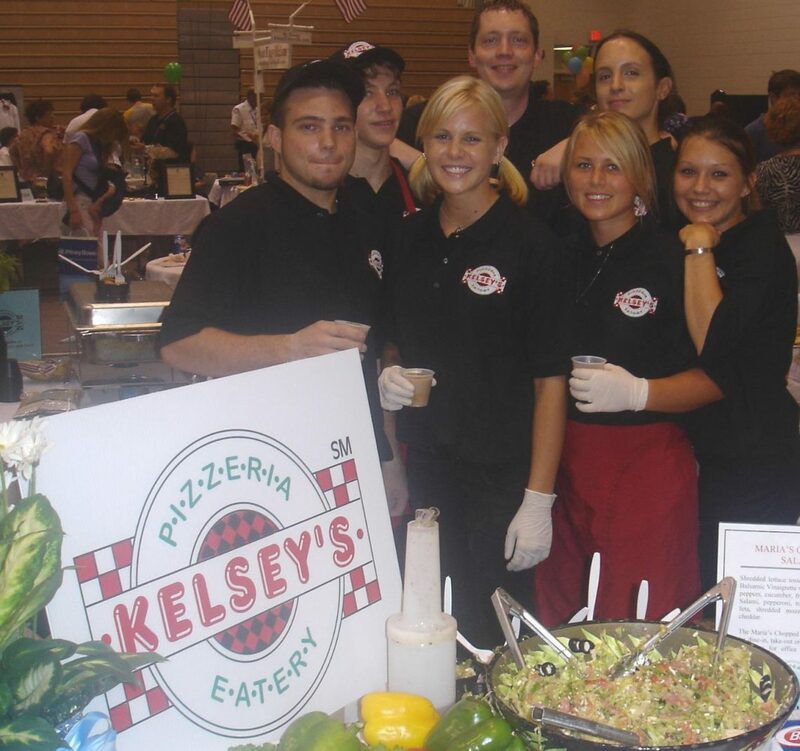 Do you love coming to Kelsey’s for some delicious pizza? Well, now you can meet the local restaurant owner behind your favorite restaurant. Meet Nick, the owner of Kelsey’s. Born and raised of Greek parents in Sudbury, Ontario, Canada, Nick comes from a tradition of determination. To understand Nick, it helps to know that his father Petros left his native Greek village in 1956 with a mission. That was to beat his brother to Sudbury to find one very special, young Greek woman living there, named Maria. To make the proverbial long story short, Petros did find Maria and soon married her. Nick and his two siblings are the product of that marriage, which is still going strong today. Nick started his life largely driven by his senses of smell and taste. He spent his early years living next door to the Scarsellone family, in an Italian neighborhood. “I remember the aroma of the sauce being simmered on the stove as Josephina prepared her special pasta dinner for the day,” he reminisces. His mother would call out for Nick only to find him at Josephina’s eating his favorite pasta. Every fall, the father in another Italian family, the Cerrillos, would make homemade wine. The musky smell still lingers in his mind. 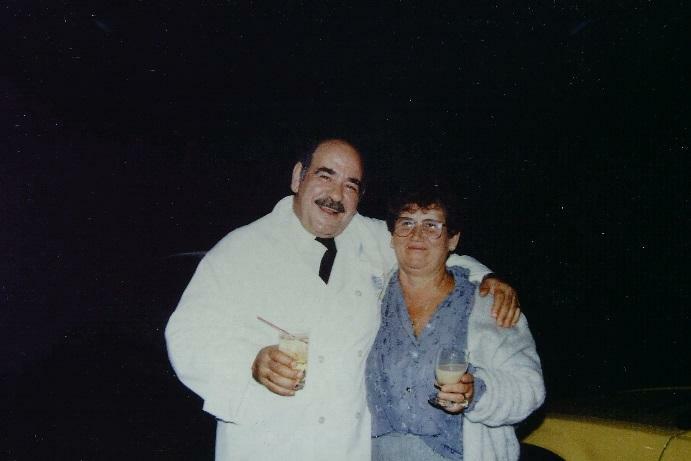 Nick began working with his father at the tender age of five when Petros operated a mobile canteen truck business. From 4 a.m. until early evening, Nick would ride with his father, to spend time with him, and watch the truck when his father took short naps in the middle of the afternoon. His enterprising nature also had an early start. When they served the local race track, Nick would collect the bottles underneath the grandstand and cash them in to purchase comic books. Nick’s father’s partner, George Roumanes was like Nick’s “second” father. Together, Petros and George opened a diner in New Sudbury and Nick would go to the restaurant after school and peel potatoes to help them out. It was here that Nick was first exposed to and began understanding the importance of quality. Everything was done from scratch. Potatoes were peeled for fries and mashed. The whole side of beef was purchased and cut in the meat room. Gravies and sauces were made with stock and apples were peeled for the pies. Quality was everything. The restaurant was packed from 5:30 a.m. to 2 a.m.
Nick felt compelled to work in the restaurant because he wanted to help his father, who worked so hard to provide for the family and he always loved it, from the very beginning. When he was eight, he was too short to reach the dishwasher, so his father would turn a milk crate upside down so Nick could reach the machine. At age 12, Nick worked as a cook. By 13, he worked every day after school in the diner, where orders were called out, and not written. That is when he learned to use his memory to his advantage. By age 14, he could already run the line himself. As time went by, Nick knew in his heart that this was what he wanted to do for the rest of his life, contrary to his father’s wishes. Like most immigrant father, Petros wanted his son to be a doctor or a lawyer, but Nick would have none of that. He loved to be around people and thrived on the intensity of working in a restaurant. When Nick graduated from high school, he enrolled at Ryerson Polytechnical Institute and majored in Hospitality and Tourism Management. While at Ryerson, he worked for a number of food-related companies to acquire the added expertise he knew he needed to become a well-rounded restaurateur. He also participated in culinary competitions. He loved to cook! Upon graduation, he was approached by a number of different companies, but opted to move to Florida to try his hand at entrepreneurship. Since he had grown up in a entrepreneurial family, he could not see himself working for a company with volumes of policies and procedures. He had stayed in contact with his uncle, Charles Lagges, who had moved to Florida and told Nick that the opportunities there were limitless. Armed with a suitcase and a couple of hundred dollars, Nick moved to the Sunshine State to try his hand as a local restaurant owner. When he arrived in Florida, he and his uncle surveyed a number of markets, but they decided that because of their limited funds, they would open their restaurant in Titusville, a quaint, friendly town, located across from the Space Center. His uncle already had a small coffee shop in the heart of town and Nick worked there for a short time while they scouted the markets. Nick was so impressed by the town folks’ hospitality that he decided to open Kelsey’s in Titusville. Without the funds to conduct a demographics study, Nick drove the neighborhoods and looked at the homes, the cars and the planned developments. He believed that he couldn’t go wrong at the northern part of Titusville. It wasn’t anything scientific; it was just a gut instinct he inherited from his father. They met with the land that formerly housed a church, a hair salon, and they quickly struck a deal. He gathered some local laborers and a carpenter friend of his uncle’s from Daytona. Although he had no prior experience in construction, Nick worked with them, full of determination to open a local restaurant. As they worked, a man came and scoffed that they would never make it with a restaurant in that location. Obviously, Nick’s father had instilled the work ethic in him. He was not afraid to work. He knew that as long as he was willing to work hard, he would never go hungry. 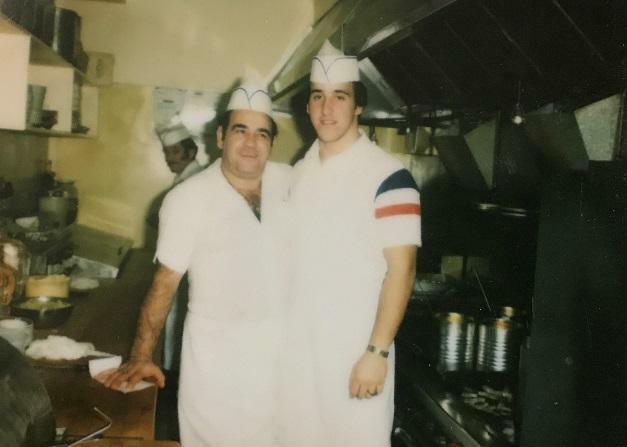 Two months later, on November 26, 1983, just two months after he turned 22, Nick opened his first pizzeria with his Uncle Charlie. Nick recalls that they were so busy that day, they had to take the phone off the hook. So much for failure! Nick’s commitment to quality and to the community quickly gave Kelsey’s a presence in the area. He was also fortunate to have a mentor, Len Piotrowski, a Rotary member, who took Nick under his wing and introduced him to all the town’s folk. Piotrowski sponsored him into Rotary and Nick quickly learned that to succeed, you have to contribute to the health of your community, through being involved. Nick built his business upon a commitment to quality, service, cleanliness, and relationships with customer, employees, communities and vendors. “We have become more structured, but I still know all my employees by name. It is important that all my “family” is treated with respect and courtesy. We work together. They don’t work for me,” he says. Nick has been known to walk into a Kelsey’s dressed in a suit, on his way to a wedding, and jump on the line to help out because it was busy. For that reason, turnover is very low. Some of his employees have been with him since day one. Three of the dining room personnel have been with Kelsey’s for over 20 years. One since the weekend after Kelsey’s opened 30 Years ago! Without a doubt, the man is driven with a passion for what he does, and if prodded will admit that he lives and breathes for the restaurant business. Now that you know the story of Nick’s venture into owning his own local restaurant, take the time to visit us and have a slice of delicious pizza.